BIOGRAPHY. 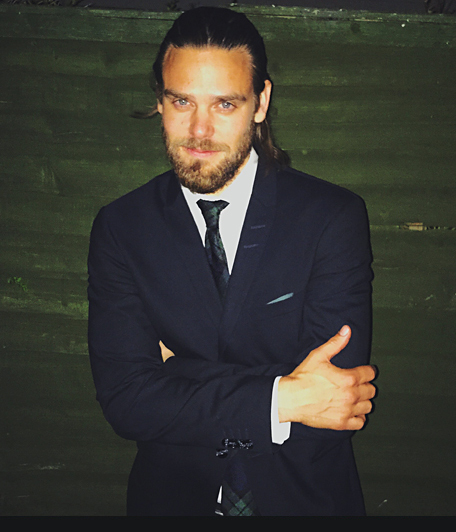 Writer-director Per Olof Marklund grew up in small-town Sweden in the ’80s, playing soccer, listening to glam metal and toying with He-man action dolls. He has one brother and two sisters. And no sense of smell. Since 2006 he lives in Stockholm. Per started studying film directing at IHTV in Gothenburg in 2005, but changed classes and graduated as a screenwriter. During the school’s internship, at Jarowskij Drama, he became slightly obsessed with writing for TV. Since then he has worked with various television projects, feature films and commercials. His short film Fikapaus (Coffee Break) has had 1.5 million viewers on Swedish state TV. He is fascinated by skillful screenwriters and courageous actors. His grandmother always saw him as journalist, and to some extent she was right – Per writes about things he wants to change. Since 2017 his main focus is a feature film script, intended for an international market. And his secret weapon is that he never misses an episode of the podcast Scriptnotes. To conclude, whether you are a filmmaker or just curious – Per wishes to hear from you. He also wishes that you will have a really nice day! And promises that this is the last time that he writes about himself in third person.